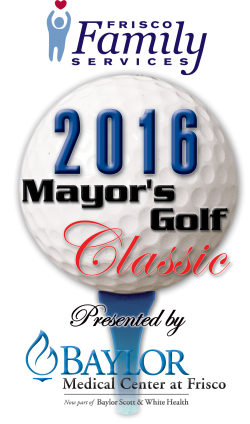 Join Mayor Maher Maso on Monday, June 20, 2016 at Stonebriar Country Club for the 2016 Mayor's Golf Classic. Play the exquisite yet challenging course normally only available to members. Have fun and play golf for a great cause. All proceeds benefit Frisco Family Services and our mission to help the people in our communities in crisis. We look forward to seeing you out there!